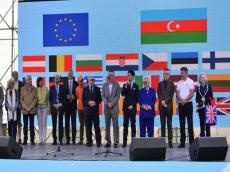 Bright and colorful show accomplished by live performance delighted guests of the EuroVillage 2018 organized by EU Delegation to Azerbaijan and the embassies of the EU member states in the country in the Baku National Seaside Park on June 2. Addressing the event, Azerbaijani Minister of Culture and Tourism Abulfas Garayev said that EuroVillage 2018 timed to the 100th anniversary of the Azerbaijan Democratic Republic is a clear example of cooperation between Azerbaijan and the EU. “Azerbaijan, being a focal point of cultural features of all mankind, has always supported and supports the ideas of multiculturalism, ethnic and religious equality. 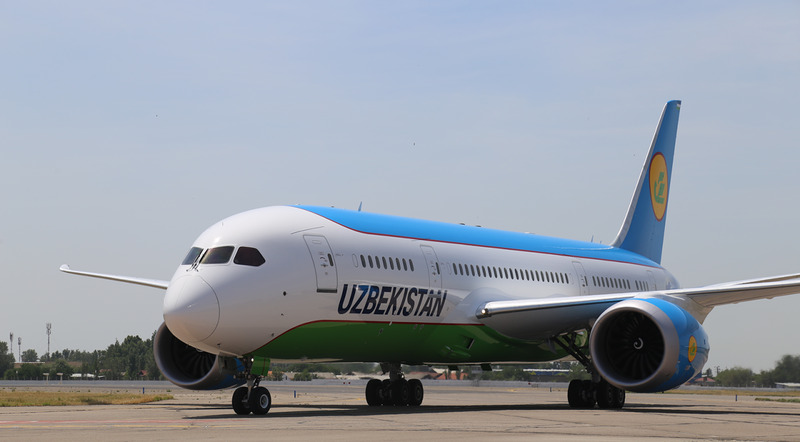 Azerbaijan can be perceived as a spot where world’s cultures unite. Today, our country is a place of peaceful coexistence of people from different parts of the world, representatives of different beliefs, and we will continue to adhere to these principles. We hope that the projects carried out between the EU and Azerbaijan will give impetus to the further strengthening of the cooperation,” he said. Speaking about cooperation with the EU countries, the minister stressed that the joint projects of the EU and Azerbaijan will undoubtedly serve to strengthening of bilateral cooperation leading to new innovative discoveries beneficial for both sides. Head of the EU Delegation to Azerbaijan Kestutis Jankauskas said that the EU and Azerbaijan are currently building new partnership, holding negotiations. “There are a lot of projects that bind us. We are trying to create bridges by cooperating with Azerbaijan. We work with young generation, and implement different projects in various fields. Such events give possibility to expand relations, familiarize, and discover culture, learn languages of each other,” he added. Further, the guests viewed stands of the EU member states. The event offered karaoke, virtual tour, dance lessons, chemical and physical experiments, various master classes, face art along with the language classes led by representatives of embassies and cultural centers. Moreover, visitors were invited to join football match organized by AFFA. In addition, EuroVillage guests tasted delicious European dishes. The winners of numerous contests and quizzes were awarded with special prizes. The festival came to the end with a fascinating concert of Azerbaijani singer Miri Yusif and Italian pop singer Ingrid. EuroVillage became an ideal opportunity to learn more about the European Union (EU) and its values, including the long-term co-operation and partnership relations between the EU and Azerbaijan. The festive event is held since 2013. European Union's relations with Azerbaijan date back to 1991 and are based on the EU-Azerbaijan Partnership and Cooperation Agreement (PCA) (in force since 1999), which provides for wide-ranging cooperation in the areas of political dialogue trade, investment, economic matters, legislation and culture. Azerbaijan and the European Union enjoy fruitful bilateral relations.